Wednesday night at 9:30: Radio La Chusma is a unique latin band from El Paso that is famous for its cultural singularity and catchy rhythmical style of music. Friday night FIBArk after party with an encore performance by Radio La Chusma! This six piece band features four part harmonies and a high energy live show. Their new “Frontera Reggae” sound takes the reggae vibrations to a whole new level. Finding inspiration from pre-Columbian and African traditions, Radio La Chusma has been inspiring crowds for the past eight years. Radio La Chusma is, first and foremost, a reggae band, but the band also incorporates cumbia, Afro Cuban music, and world beat rhythms that are a combination of all of the above. In fact, the band is a veritable word beat encyclopedia of sounds. 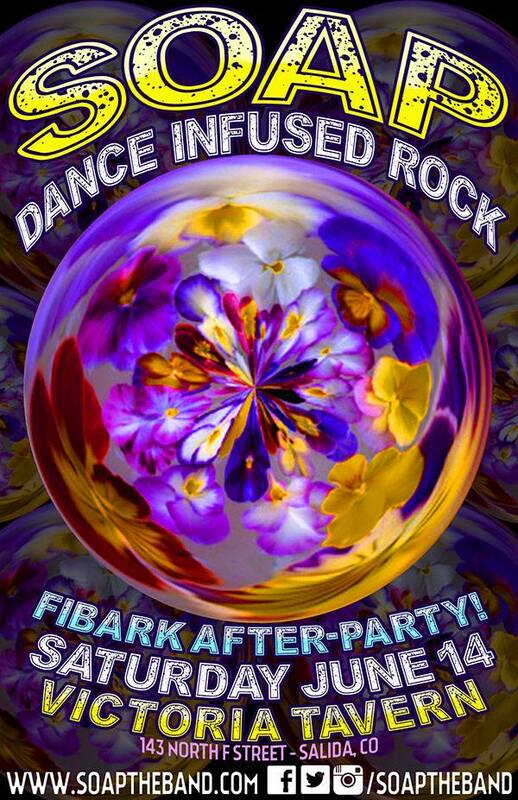 Saturday night the FIBArk after party continues with SOAP, a fusion of highly danceable rock, intricate song craftsmanship and psychedelic funk. Set out to make every show inspiring. Imagine going to a double matinee showing of Led Zeppelin & P-Funk at Dream Theater and then heading to an Amsterdam discotheque to dance until the sun came up. That’s about as close as can be described without seeing Soap for yourself. ← Tonight Pasadena with Zach Belles and Company!